Belizeans across the country have, for years, been paying a steep price for dialysis treatment, in many instances giving up and losing the battle due to the prohibitive expense. The Ministry of Health (MOH), announced on Tuesday, July 10th that they are currently spending $2 million dollars to subsidize these life-sustaining expenses. These funds are allegedly covering thirty patients, and the Ministry is in discussion with a third party who is willing to provide dialysis treatment at a significantly lower cost to allow more patients to be treated. However, Belizeans are questioning why there is limited access to such a needed health care service. 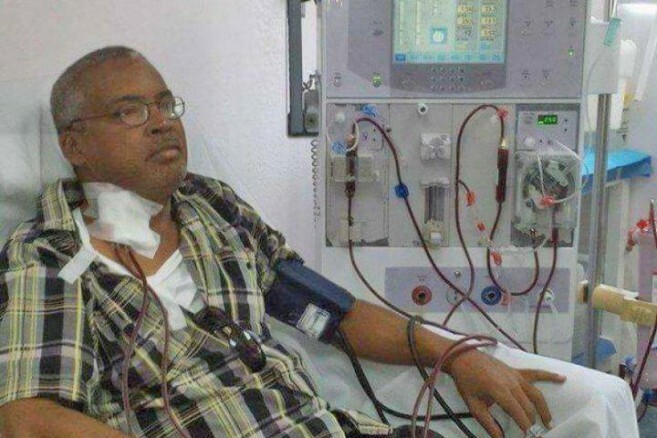 According to the Minister of Health, Honourable Pablo Marin, the unnamed provider is offering dialysis treatments at $220 per session, while Karl Heusner Memorial Hospital (KHMH) charges $600, and La Loma Luz in the Cayo District charges $300 per session. Marin admitted that there are patients who cannot afford treatment and are only taking one session per week when they actually need three. He explained that if the MOH can close the deal for $220 per session by next week, the Ministry will be able to assist a total of 60 patients. Marin, however, did not explain who determines which patients will receive government coverage. Access to dialysis treatment is generally not a problem in developed countries, but, in Belize it is a crisis. Glenn Tillett, one of Belize’s foremost journalists, writer, and historian has written extensively of his own experience as a kidney patient. In his column, ‘Between the Lines,” which is shared on social media, he reveals the efforts that have kept him alive for the past 16 months. So far, his treatment has cost $50,000 and has only been affordable due to the assistance of friends and family members. “I have been angry and frustrated the past two weeks because yet another of my fellow kidney failure patients died because in large part she could not access timely dialysis sessions primarily due to cost. She is the latest of several persons I know of who in just the last 16 months have succumbed for the same reason,” said Tillett in his column. He denounced what he calls the silence of Minister Marin, who has been promising for over a year to help all dialysis patients, but has yet to do so. “The result is that dialysis patients in Belize die regularly,” he continued. Tillett questions why Belize has not adopted the practices of nearby Mexico, Guatemala, and Honduras. He claims that in those countries dialysis treatment is provided for those who need it at an affordable rate. Tillett recommends that funds budgeted by the government be managed by the Belize Social Security Board (BSSB) and not by the MOH. He applauded the BSSB for their initiatives within limited means to financially support dialysis patients. Tillett highlighted ‘The Ride across Belize,’ a bicycle race around the country organized by BSSB to raise funds for the Belize Kidney Association this year. Others who share Tillett’s frustration refer to a law enforced in neighboring countries where dialysis patients receive treatment, regardless of their ability to pay. Former Belize Ambassador Lisa Shoman, says dialysis treatment should be regarded as a human right. She dreads the idea that too many Belizeans die because they cannot afford dialysis three times, or even twice a week. She questioned the transparency of the $2 million per year budget for a mere 30 patients. Shoman indicates that when doing the math, that amounts to $38,500 per week. According to her with the approximate calculations, at the $600 that KHMH charges, it should take care of about 60 patients. With Loma Luz Hospital charging $300, it is believed that 120 persons could be treated and about 170 patients could be covered each week with the reduced charge of $220 within that $2 million budget. Currently, Tillett is receiving his treatment from a private center at a cost of $220 per session. He opines that a collectivist approach, such as the moribund National Health Insurance scheme would ensure equal health for all, rather than the current status quo, in which it seems that the rich will live, and the rest will die. Dialysis is needed when kidneys stop properly working and cannot remove waste from the body. The kidney’s function is monumental for keeping a safe level of certain chemicals in the blood, such as potassium, sodium, and bicarbonate. Kidney failure is caused by other health problems that have done permanent damage over time. Diabetes is the most common cause, followed by high blood pressure. Other causes include urinary tract problems, genetic diseases like polycystic kidney disease and nephrotic syndrome. To avoid kidney failure, doctors recommend that you maintain a healthy weight, eat healthy, drink plenty of water and avoid sugary drinks like soft drinks. Everyone is encouraged to exercise regularly, avoid smoking and limit alcohol consumption.